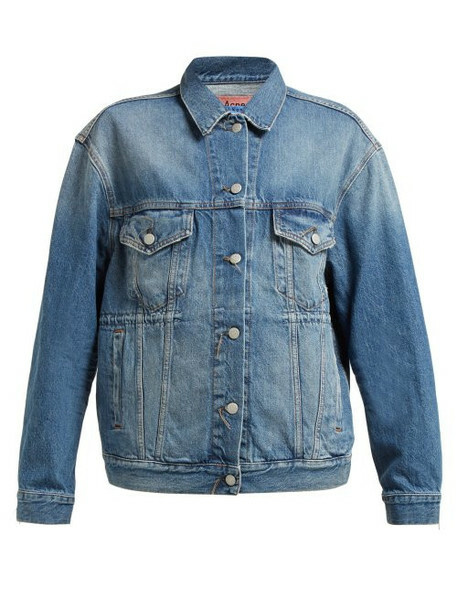 Acne Studios - This blue Trash denim jacket from Acne Studios demonstrates the label's tendency to lean towards androgynous silhouettes. Hand crafted in Italy, it's shaped for a subtle oversized fit with a panelled body and long sleeves, then finished with subtle distressing to offset the light wash. Team it with checked trousers and chunky trainers to create a nonchalant weekend look.